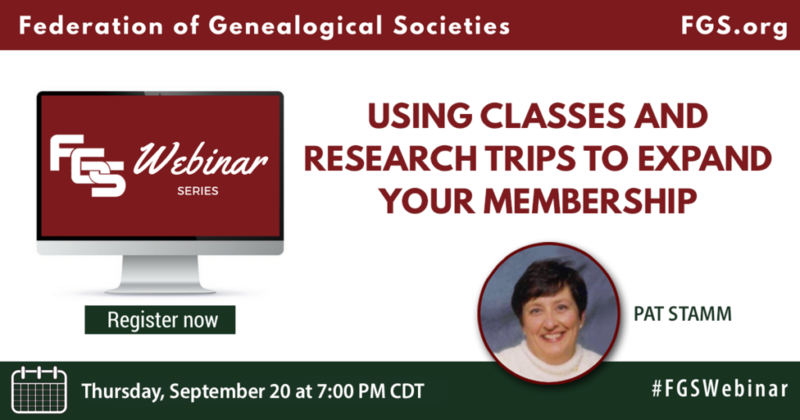 The Federation of Genealogical Societies (FGS) is pleased to announce the September 2018 webinar, “Using Classes and Research Trips to Expand Your Membership,” presented by Pat Stamm, a long-time leader in genealogy education. Societies are always looking for ways to expand their membership. One of the best ways is to offer benefits. Two potential added values are educational classes and research trips. Learn how to establish these types of programs. This webinar will be held on Thursday, September 20, 2018, at 7:00 p.m. Central Time, and will be recorded for viewing on the FGS website shortly after its conclusion. Please register in advance. Pat Stamm is a professional researcher with over 30 years of experience. Besides lecturing across the country, she is a course coordinator at the Institute of Genealogy and Historical Research (IGHR) and teaches at St. Louis Community College. 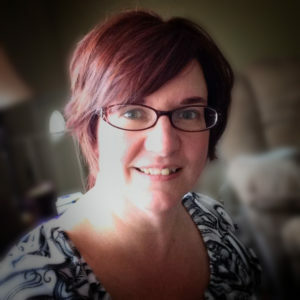 She specializes in Missouri, Catholic Church records, government documents, problem-solving, and computer research topics. She is currently serving as NGS Research Trip Coordinator. In the past, Pat served as the Education Manager for St. Louis Genealogical and the National Genealogical Society. Our October webinar will feature Amy Johnson Crow who will present “Finding and Creating Images for Your Blog and Social Media.” Register in advance for this highly requested and popular topic from one of our community’s best online marketers! Are you looking for a rewarding and beneficial way to volunteer? The Education Committee at FGS could use your expertise! Please contact Jen Baldwin at education@fgs.org. What is your webinar for January 2019? Hi Vannetta, Thank you for your interest in the FGS Society Management Webinar series! We have not yet announced our 2019 schedule, but stay tuned! We will do so as soon as possible.